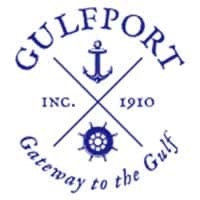 The Gulfport Multipurpose Senior Center actively seeks to support the independence and increased quality of life of its participants by encouraging involvement in programs and activities that promote health, welfare, safety and dignity.Membership is required, however, membership is easy and free for all individuals 50 years of age or older. PHYSICAL HEALTH AND WELLNESS – Foundation Fitness Center, Blood Pressure Screening, Memory Screening, Stretch Exercise, Yoga, Line Dancing, Tai Chi, and Strength Training & Aerobics. SUPPORT GROUPS – Caregivers, Diabetes, Hearing Loss, and Visually Impaired. EDUCATIONAL PROGRAMS – Art Classes, Bridge Instruction, Computer Classes, seminars and presentations, and cooking classes. SPECIAL INTERESTS GROUPS – Investment Club, Knitting, Quilters Club, Coffee Club, Writers Club, Harmonica Club, and Line Dancing. SOCIAL ACTIVITIES – Chat Room, seasonal and celebratory luncheons, dinners, and parties, and day trips. GAMES – BINGO, Dominoes, Mah-jongg, Cribbage, Bridge, Euchre, Canasta, Pinochle, and Wii Bowling. FOREIGN LANGUAGE CLASSES – Italian, Spanish, and English Classes. REASSURANCE TELEPHONE PROGRAM – Daily calls are made to participants to check on their well-being, for reassurance, and emergency assistance if needed.